[A] brand is the resultant of the attributes of a product and the way it is advertised, its name, packaging, price, history and reputation, all of which act together to generate affect in consumers. Key to understanding a brand is that it creates an emotional connection between the mark identifying the brand and the consumers for whom the brand is intended. David Aaker extended the notion to “brand equity”, which includes the following features: (i) brand loyalty; (ii) brand awareness; (iii) perceived brand quality: and (iv) brand associations. Taking these notions together, connecting to a brand means creating an emotional bond with what the brand is believed to embody. But over time, the notion of a “brand” extended beyond the commercial context and become a synonym for virtually any sign that creates an emotional connection between it and some real or imagined good or service. How far this process has gone can be seen with respect to the well-publicized scandal over alleged criminal actions in the U.S. college admissions process. OK Kat, but what does this have to do with IP? The answer is in what appears to have been the major motivation for the alleged illicit actions taken by these parents, namely, how far some are willing to go to pay for the status connected with being identified with such coveted educational brands. The feel-good narrative about the U.S. system of higher education is that it enables the bright and ambitious to climb the ladder of meritocracy and enjoy the fruits of financial success that follow. [F]or students from the lower and middle class, admission to an elite university is significantly correlated with enhanced earnings potential over their lifetime. But students from these rungs of the social ladder are less likely to attend these elite universities than do the sons and daughters of the (much) better-off financially. However, for them, the prime motivation has less to do with enhancing one’s earnings potential, and much more with being associated with an elite university “brand”. Seen in this way, the scandal is perhaps the low point of how aspirational brand goods and services can corrupt and corrode. An aspirational brand can be defined thusly: [A] large segment of its exposure audience wishes to own it, but for economic reasons cannot. An aspirational product implies certain positive characteristics to the user, but the supply appears limited due to limited production quantities. While some publishers have developed a consumer brand (Harlequin, for example), most brands in the book world are based upon the author. James Patterson (a former advertising executive) has paid a great deal of attention to his author brand. 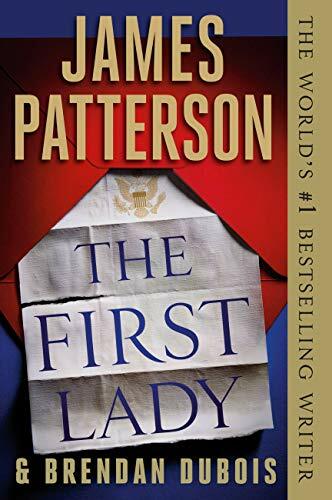 When a reader purchases a James Patterson novel, he/she has an expectation of a particular type of story and reading experience. Indeed, at least for PG, the titles of Patterson’s novels after the first couple of books blur together. To the best of PG’s recollection, the covers of Patterson novels always feature the author’s name in a prominent position. Patterson’s name has become quite valuable. 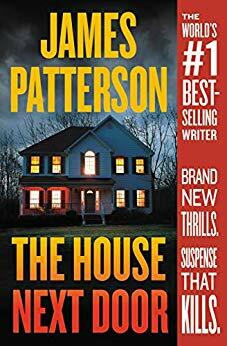 If he published the exact same book under his own name and also under a different name, it seems almost certain that the Patterson-branded book would sell far more copies than the book without the brand. If Mr. Patterson decided he wanted to write Regency romances, he might be advised to use a pen name, perhaps a female name. Doing so would preserve the brand equity of the James Patterson name in his original market segment. PG suspects many of Mr. Patterson’s current fans would be disappointed to buy a book with his name on the cover and find themselves at Pemberley with Fitzwilliam Darcy. This is not to say that an established author who has developed a following for a particular type of book should never write for a different audience using the same name. The value of the author’s brand may be important for the success of the book intended for a new type of market. However, PG suggests an author should be mindful of both the benefits and potential detriments of such a marketing strategy and make certain she does not burn her brand bridges to her former readers as she pursues a different audience. Is the new book a brand extension of the author’s previous books? Coke and Diet Coke? That doesn’t sound too dangerous. Is the new book a substitute for the prior books? Regency romance and Victorian romance? Or is the author trying to transfer existing readers to a new type of book, a story that her readers will expect the author should be able to write well and result in a book her existing readers will enjoy? Regency romance to clean contemporary romance? The Psychiatrist Who Believed People Could Tell the Future Can a Facebook Post Make Your Insurance Cost More?